You must make reservations at least 5 minutes in advance of the time at Lecosho. Lunch: Monday - Friday: 11:00am - 3:00pm. Dinner: Sunday - Thursday: 5:00pm - 10:00pm, Friday - Saturday: 5:00pm - 10:30pm. Happy Hour: Everyday 3:00pm - 6:00pm. Street parking or garage parking in the Harbor Steps garage accessible from Western avenue. Located a few paces away from Benaroya Hall, SAM and Pike Place Market. 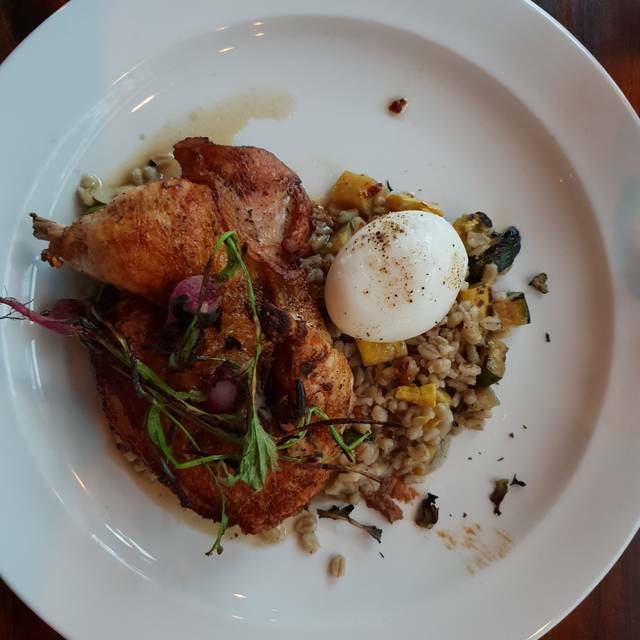 We serve European-inspired dishes utilizing the best of local & seasonal fare. Owner operated, our desire is to always be on hand to serve you simple, well-prepared food. The food was excellent and tasty! We had the asparagus appetizer, pork chops, beef ragu and chocolate torte and honey cake dessert. All of the food was lovely but the service was sub par. The waiter seemed annoyed we didn't order alcoholic drinks. There was also a 20 minute wait in-between our entrees and dessert. The waitress ignored us throughout this time until my boyfriend finally flagged her down and she admitted there was a mix-up and it would be a longer wait. We understand that things happen as we work in the industry and have no problem with the delay but thought we should be informed of the situation. The waitress seemed to be annoyed with us after the whole situation and took forever with the check and payment after. The whole ending left a bad taste in our mouths after such yummy food. Great bartender with excellent cocktails. Delicious meals served by staff who feel like they love what they do to deliver a great experience and value. We'll be back! The meal (and whole dining experience): perfect. As usual! We have been to Lecosho several times, and the food has been very good. I am sorry to say we had a terrible time with the service. We were there before an event at Benaroya, 2 blocks away. We told our server at the start of our 6:00 reservation that we had to be at Benaroya at 7:30. When we first tried to order dessert (part of Seattle Restaurant Week menu), the waitress asked if she could come right back. It actually took her about 5 minutes to come back. We ordered dessert at 7:00. At 7:10, we expressed our concern and were told that dessert would be up in a minute. At 7:15, still not having been served dessert, we asked to have it put in boxes instead and for our check. The check was brought & fully paid, and at 7:20, we still didn't have our dessert. The waitress was so embarrassed that she asked someone else to bring our bag with the desserts, and we had to rush out. I love Lecosho! The food is always excellent. The service is excellent. The ambience is excellent. I would just recommend that when you make reservations, ask for a table a little further from the door! This place was a pleasant surprise! The service was great and very helpful with recommendations on both food & wine. Everything we ordered was delicious and cooked to perfection! 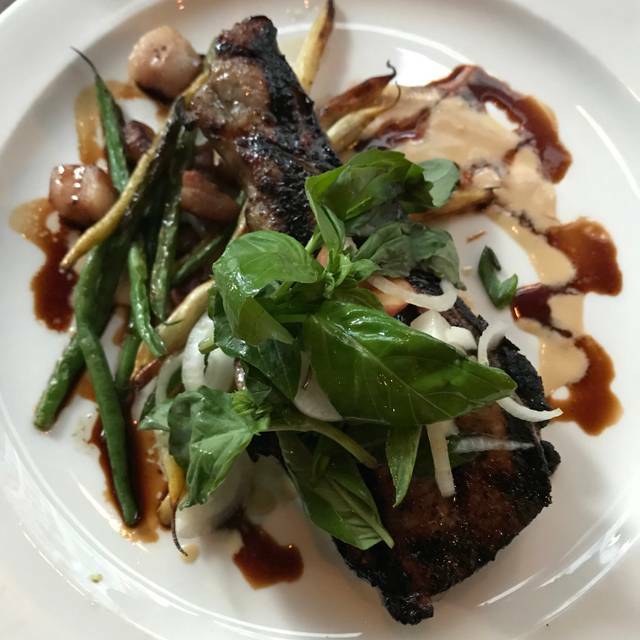 Always a great meal at Lecosho. The food is fantastic. Good size portions, amazing flavor. The service is wonderful. 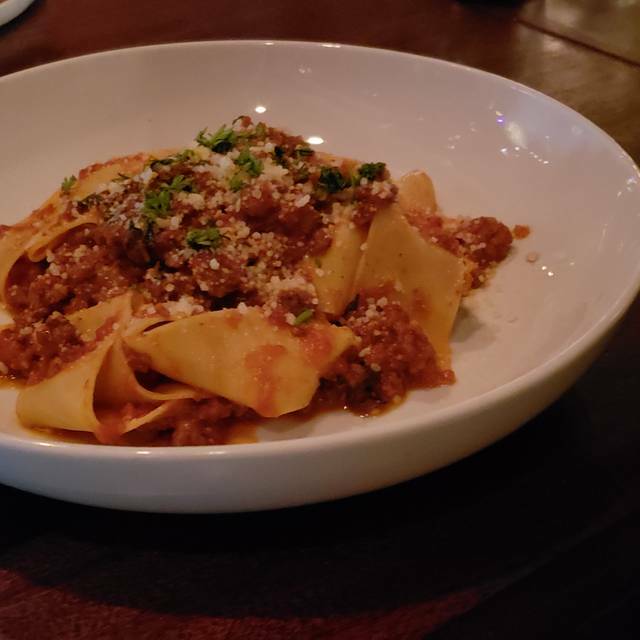 Even during restaurant week, the food and service are incredible. I would come back again more often. Always a good dining experience and welcoming atmosphere. My husband and I rarely get downtown to enjoy dinner and a night out. We were dressed for the theater. There was also a Sounders game the same evening so most other diners were sporting green and blue. We enjoyed a cocktail before ordering dinner. Glad our waitress didn't rush us but we were also specific that we had plenty of time. We had a lovely dinner and enjoyed our salads and entrees. I'd recommend to friends. I've been to Lecosho for several lunches with business friends. The menu is diverse enough that there's something for everyone, and specialized enough that they do everything well. It's easy to hear. Tucked away so that it feels like a find. Has lots of windows - good lighting. And the service has always been excellent! It's a Seattle staple. This is my first time at lecosho and it was very hard to decide what to order. The entire menu looked amazing I had a pasta special with homemade pasta which was delightful and my friend had the pork sandwich which was divine. Simple menu and prepared well. Server not helpful on wine selection. Server was exceptional and understanding that we wanted time to chat with our friends abroad. Food was spectacular and reasonably priced. This was our first time there but won’t be our last by any chance! Fabulous!!! Food is consistently amazing and inventive. I tried octopus for the first time here and it was worth the risk. The service was great and the ambiance is so fun with the open kitchen. Great service, lovely atmosphere. The Caesar Brussels Sprouts are amazing. As my entrée I had the chicken and it was perfect - well-seasoned and moist. I would definitely eat here again. Delicious appetizers, wonderful main dishes and a comfortable atmosphere. We had out of town foodie friends in town and really liked this restaurant, so made a reservation here. The service was great, the food was good, the wine list (one of the group is a Master Sommelier) was great. Everyone liked the food and atmosphere and fellowship. Two of our group are Gluten Free (one medically) so were kept from a couple of items we would have liked to try because the server said the kitchen wouldn't make changed (to combine with items on the menu; switch out pasta for Polenta). This typically means a kitchen that is locked into a menu item combo. The food was outstanding. The salmon and scallops were perfectly prepared. We had a scrumptious dessert too. A great dinner place. Such a great HH experience! Fabulous bartender, incredibly quick service, great portions and recommendations on the food. Love this little hideaway. Decent food - some good some average. Price is a little high for the food you get. But the best part of this restaurant is really the ambiance and relaxed setting. If you want a nice, uninterrupted, long dinner - this is a great place. Good for groups, good for catching up and enjoying a night out. Food was good but weird. I ordered the $28 salmon. It wasn't fresh and was served upside down (skin side up). Other than that, the other food was above average. Selection of beers was lacking. Thai was the third time we’ve eaten at lecosho, and it wasn’t so great. The service was slow and in responsive, my pork chop was RAW and the sides were not tasty, and again, the waitress didn’t pay attention. 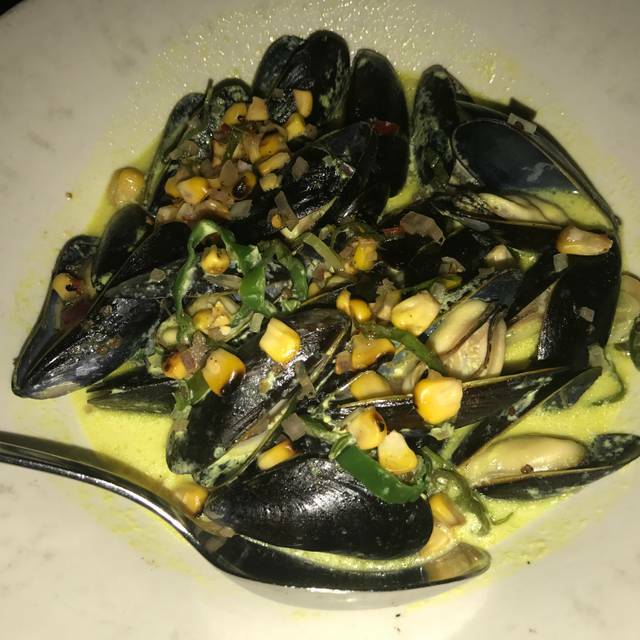 We visit Seattle twice a year and Lecosho is our favorite by far. 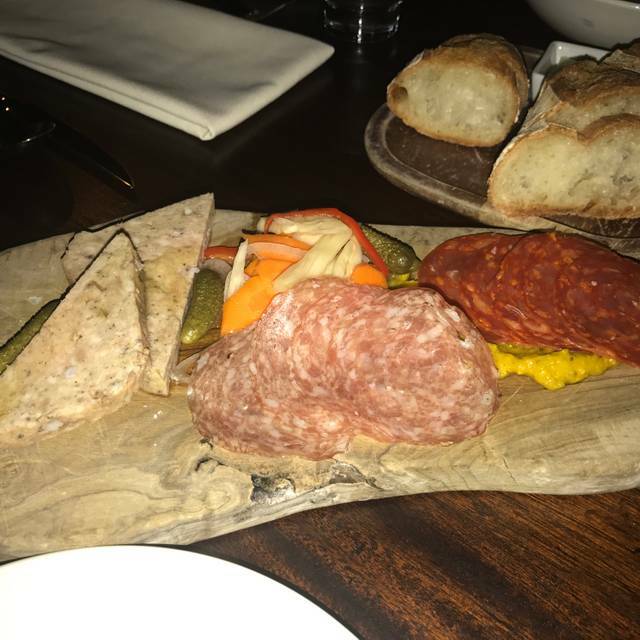 Fantastic service, unique wines by the glass, and an ever changing menu with the emphasis on local produce always make us wish we had a Lecosho back home! 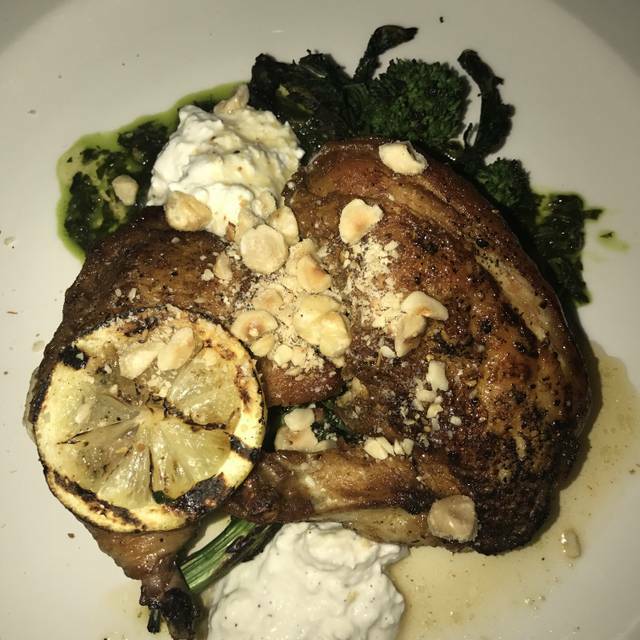 Tonight, we loved the chicory/date salad, the perfectly seared sea scallops, and, of course, the chicken! Came for lunch and came back the next day for dinner, great food, fresh produce cooked at the last minute, very tasty, interesting without being too complicated. Great job, please maintain the same quality and we will be back often. Pork Chop Was Devine! Will be back. Simply delicious! Delicious meal, wonderful accommodating service and great advice on wine and dishes. One of the better meals we've had in a long time, with new innovative dishes and spicing. Atmosphere was lovely...spaceous open setting, and really convenient to Benaroya. Service felt leisurely but was efficient too. Delicious food, served by friendly and knowledgeable waitstaff. Excellent cocktails. 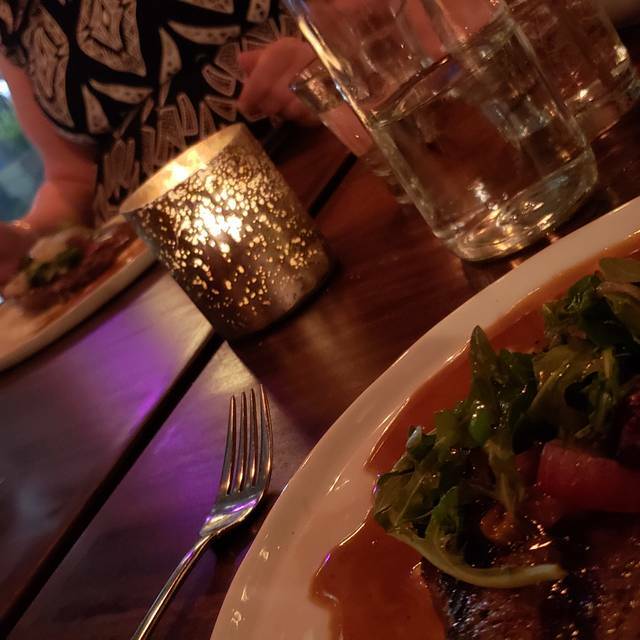 I’d mentioned on the reservation that the occasion was a date, and was very grateful that they put us at a more secluded table along the back and by the windows (the area closer to the bar was a lot livelier and certainly louder). My date and I had a perfect evening together. Top notch and uncommonly varied wine list (albeit pricey), while the food and service were both excellent. Excellent burger. Ate at the bar at the end of lunch. Always a sort of weird time to be in a restaurant, but they were nice. Decor and lighting are depressing-dark. 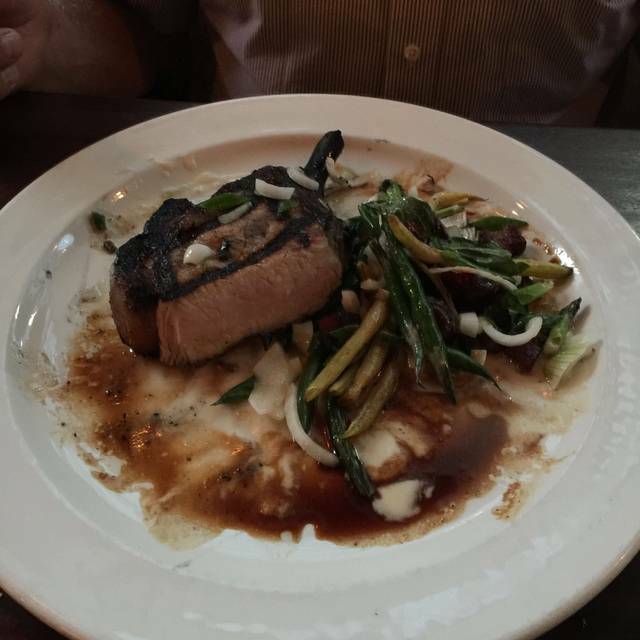 Delicious swordfish; delicious pork. On the noisy side, but more than worth it. We visit the restaurant every time we are in Seattle and it has become one of our favorite places. The food in innovative and service and bar staff impeccable. Have been steadily working down the menu and have love every dish. 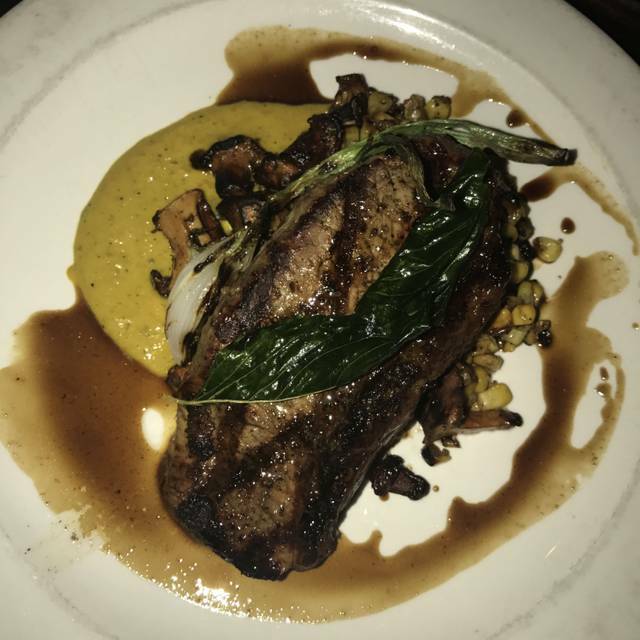 Its hard to pick a specific dish - but the port chop is to die for. Love that it is open late for dinner even during the week. If you haven't tried it - it is work a visit. Superb service and excellent food.